CineMapper includes the same GPS data display capabilities and opttions as the standard ShotMappet application. In addition, in feasure an embedded bam that displays alonside the video, so that additional mapping software is not required. The embedded map will be in the public domain with no restrictions on use. 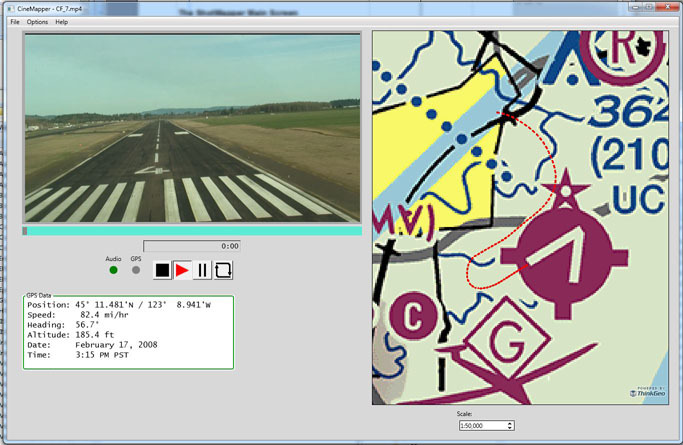 Different CineMapper versions are planned, including an aviation-specific version based on FAA Sectional Charts (shown above) and a general version utilizing the Open Street Map database.